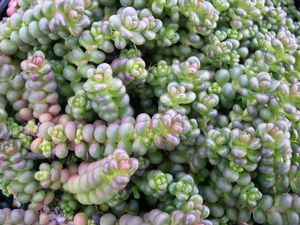 Also known as Old man's bones, this tough native Sedum of the pacific coast boasts wind resistance, moisture tolerance and some shade tolerance. 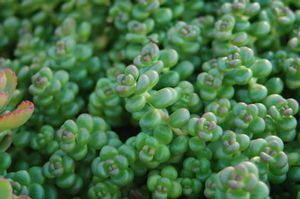 Tight bead-like green leaves grow on stems reaching 3", taking on a pinkish-red hue with more sun. Yellow star-like flowers appear tight to the foliage in summer. 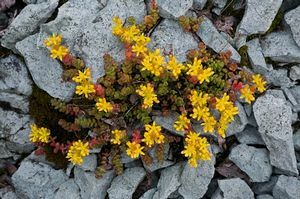 Plant on slopes, rock walls, and in containers and rock gardens.